This site contains the information needed to join the ICE Roleplaying WebRing and the MERP Webring as well as additional Information and Resources for Rolemaster, Spacemaster, HARP, Silent Death and other games from Iron Crown Enterprises. Just click the "Joining the ICE Webring" or the "Joining the MERP Webring" link under “Webring Links” in left hand menu and follow the directions on those pages. “What I found was Pinterest did not allow to save pins from an insecure source. SSL was installed for your domain but your website was not using the SSL. I forced your website to redirect to https which is now secured. And, it is working now. It happens when trying to Pin items from either of my sites, http://www.ob1knorrb.com or http://www.icewebring.com. I have tried on several different devices, PCs, IPad, IPhone, and from several different browsers on the PCs. I don’t have any difficulty pinning from other sites. I also don’t have any add-ons or widgets related to pinning on my sites. I think it might be related to a recent WordPress update, but can’t say for sure. I don’t have anything in my .htaccess or an security plugins that should cause this. I’ve posted questions on the WordPress support forums and logged a call with my hosting company to see if they can provide any details. The Links have now been fixed up and should be working again. I just discovered that due to a recent update to the Links Library Plug in, the links on the site are temporarily unavailable. I need to fix a few category codes to get them back, which will hopefully occur sometime in the next week or so. It did turn out that mysql_connect and several other functions were deprecated between PHP 5.6 and PHP 7.0. I’ve gone through my scripts and updated them to use the new APIs that are supported by PHP 7.0 and reset the default back to PHP 7.0. Things seem to be working okay so far, and supposedly PHP 7.0 should give a significant speed improvement. We’ll see. Product List back up, for now. After trying several new PHP plugins I still didn’t have any luck in getting the Product List and the Recent Releases list working. I had tracked things down to the point that it would hang up with it hit the $connection = mysql_connect($host,$user,$password) or die ("couldn't connect to server"); portion of the script. Eventually I went into the Dashboard for my website that my host provides and saw that my site was set to use PHP 7.0. It gave me the choice to use PHP 5.6 instead and once I switched to that, things started working again, even with the new plugin. The trusty Plug-in that allows execution of Php code in my pages has failed, and in fact, took down the entire site for a few days. It’s been disabled, but that means that the Product List and several other features won’t work until I have time to find a replacement, since it doesn’t seem to be supported anymore. 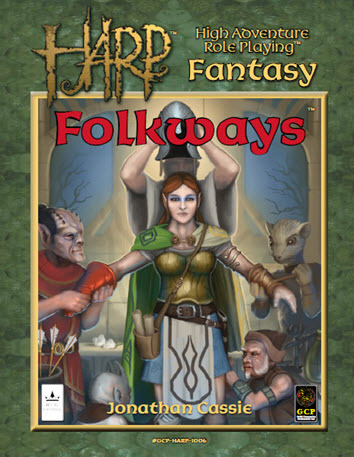 With roughly 70% of the book being rules agnostic, HARP Folkways is a great buy whatever system you play. I’ve been seeing good things about this book, I’ll give it a read when I get a chance but I’m hoping to get a paper copy first. I like pdfs for reference, but still prefer paper for an initial read through. 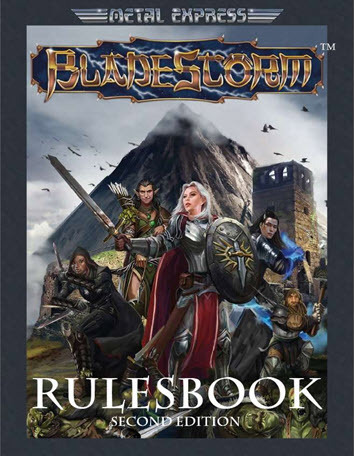 After 25 years, Bladestorm has now been updated and released in a Second Edition.